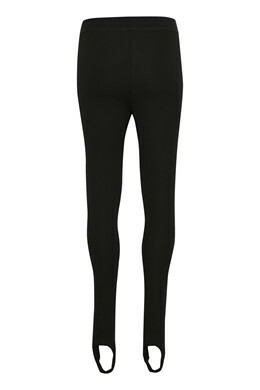 Classic, simple and stylish leggings from Karen By Simonsen. First and foremost, they have a super stretchy quality, a good elastic waistband and foot straps, so they are held in place. 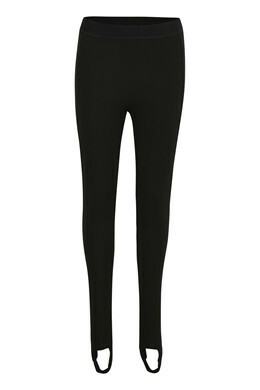 The stretchable leggings have nice marked sewing parts at the front and back. 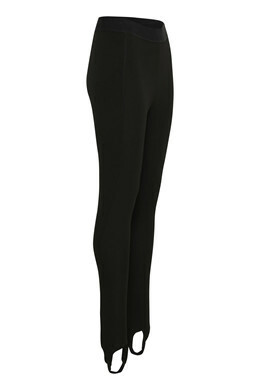 They have a regular fit with a tight-fitting and can be used for both everyday use and festive occasions.